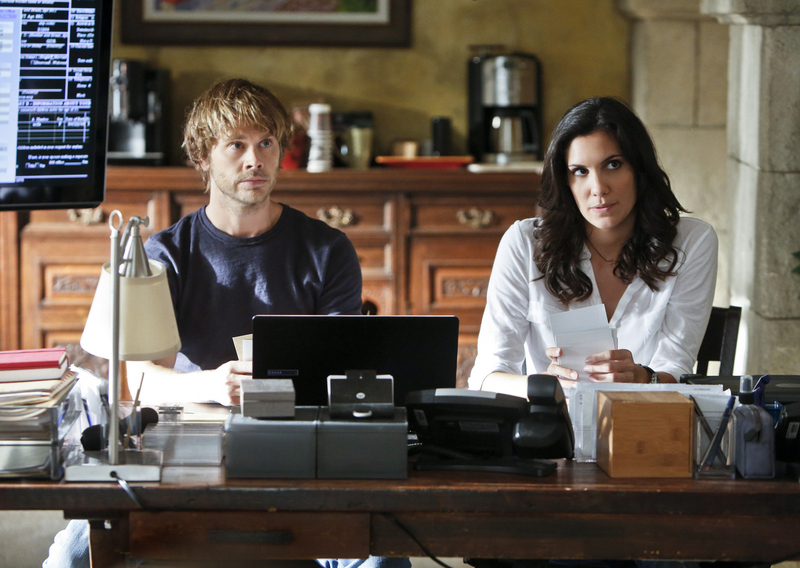 Pictured (L-R): Eric Christian Olsen (LAPD Liaison Marty Deeks) and Daniela Ruah (Special Agent Kensi Blye). The NCIS: LA team finds themselves in danger while investigating a kidnapping case of a man claiming to be Callen’s father, on the 100th episode of NCIS: LOS ANGELES, Tuesday, Oct. 15 (9:00-10:00 PM, ET/PT) on the CBS Television Network. Photo: Cliff Lipson/CBS ©2013 CBS Broadcasting, Inc. All Rights Reserved.